A romantic historical YA novel featuring strong female characters from the acclaimed author of Wait for Me. 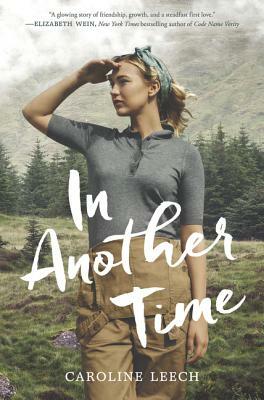 It’s 1942, and as the war rages in Europe, Maisie McCall is in the Scottish Highlands swinging an axe for the Women’s Timber Corps. Maisie relishes her newfound independence working alongside other lumberjacks—including the mysterious John Lindsay. As Maisie and John work side by side felling trees together, Maisie can’t help but feel that their friendship has the spark of something more to it. And yet every time she gets close to him, John pulls away. It’s not until Maisie rescues John from a terrible logging accident that he begins to open up to her about the truth of his past, and the pain he’s been hiding.